We're excited to bring you our first workspace tour with Lauren Matsumoto of Mitsymoto Designs. Her jewelry is fresh, modern and has tons of personality. It's a little edgy, with some feminine touches and always cool (kinda like Lauren herself... it's funny how that happens). 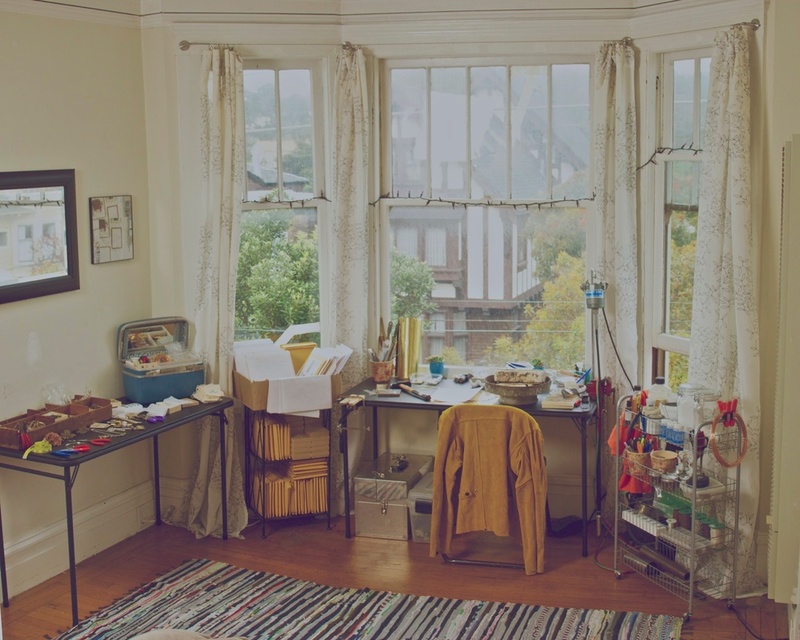 We chatted her up a bit and she sent us some great photos of her studio in San Francisco. Enjoy! AHAS: What do you make? AHAS: What got you into making and how long have you been doing it? 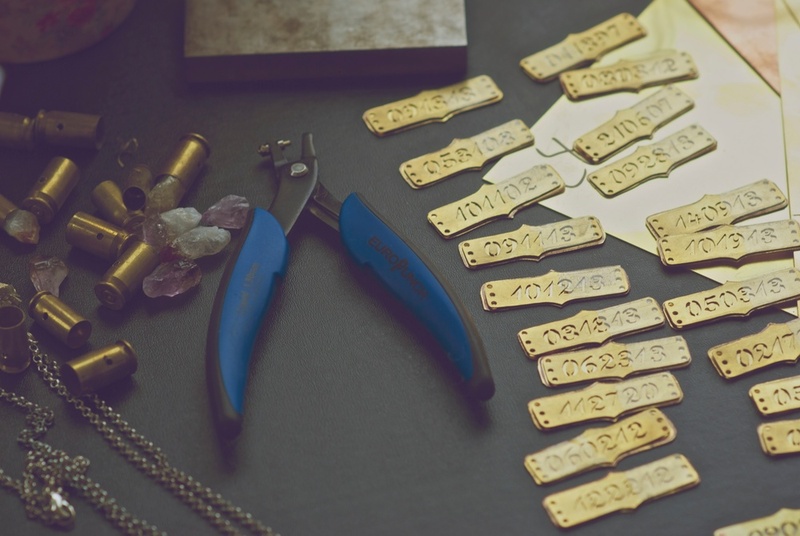 Lauren: I've been making jewelry since I was seven years old. I started with friendship bracelets, wire wrapping and pearl stranding. 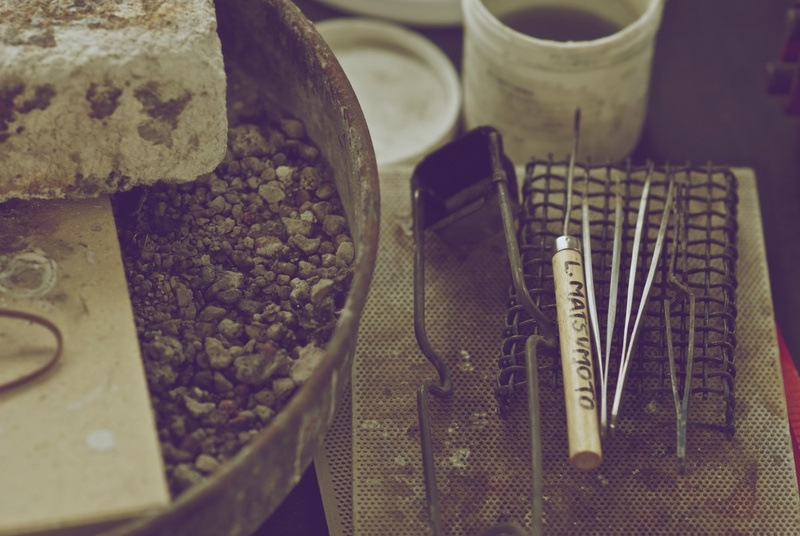 In 2007 I started learning how to actually metalsmith. I feel in love and have been doing it ever since. 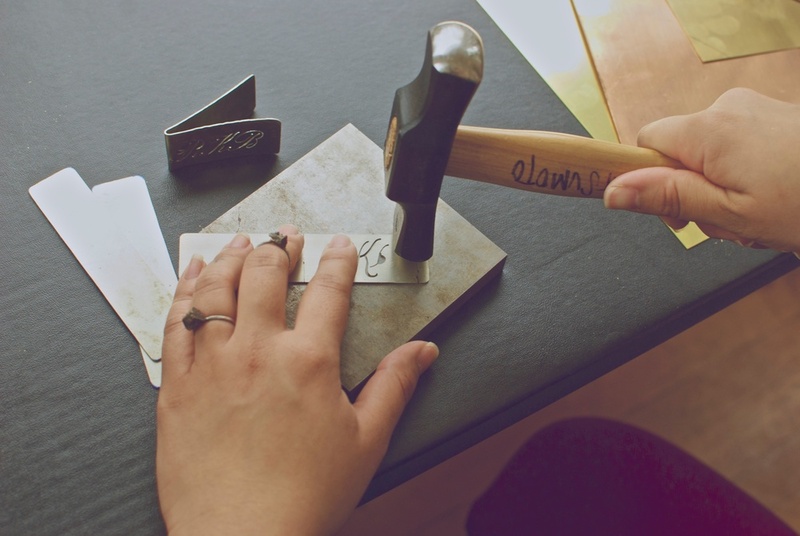 AHAS: What's your favorite tool and/or part of your workspace? Lauren: I love my torch! Playing with fire and manipulating metal when it's molten hot is the best. AHAS: What advice would you give to anyone who would like to do what you do? Lauren: Work hard and never stop learning. Curiosity and wanting to know more techniques is the best way to be at the top of your game. Also, be friendly. I know we're all "competition" but it's nice and helpful to have friends in the industry. Don't be afraid to share what you know and where you find awesome things! AHAS: Where can people find your work?